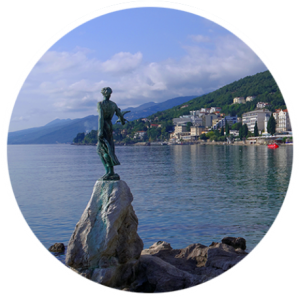 Croatian Association of Aesthetic Medicine is a non-profit and scientific association founded in Opatija in 2007. The purpose of the Association is to bring together physicians of diverse specialties and shared interest in aesthetic medicine with the aim of promoting education and collaboration, establishing interdisciplinary collaborations between physicians and technicians of various specializations, stimulating experimental research in pharmaceutical and cosmetology industry, publishing scientific and technical papers on subject matters related to aesthetic medicine as well as encouraging and boosting the exchange of scientific content with aesthetic medicine associations of other countries. The Croatian Association of Aesthetic Medicine is one of 29 members of the International Union of Aesthetic Medicine, established in 1978 in Paris. The vision of the Croatian Association of Aesthetic Medicine is to bring together all interested experts with the aim of encouraging further education, knowledge exchange, professional development and improvement as well as to make way for gathering of world experts in the Republic of Croatia with the aim for them to share their experience and knowledge with local experts.